Germany is a beautiful country to visit. 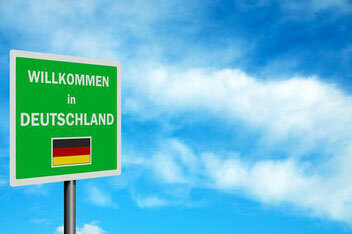 For visiting Germany, a visitor needs a Schengen Visa. A Schengen visa entitles the holder to an accumulated stay of up to 90 days within a period of six months and is valid for Germany, Austria, Belgium, Czech Republic, Denmark, Estonia, Finland, Greece, Hungary, Iceland, Italy, Latvia, Leichtenstein, Lithuania, Luxembourg, Malta, Netherland, Norway, Poland, Portugal, Slovakia, Slovenia, Spain, Sweden and Switzerland (i.e. Schengen Area). With this, visit the nearest Buergeramt and get the "Verpflichtungserklärug" issued. The same needs to be sent to the invited person in Original and needs to be attached with the overall list of required documents listed in step 2 below. Refer to link below and make sure that the required documents are available. Schengen applicants in Mumbai are kindly requested to fill in the online application forms according to VIDEX format, which can be found above. Please ensure that a high quality printout of the barcode is submitted with the application. NOTE: Alternatively, you may also submit your visa application, after scheduling an apppointment, to the German Mission of your local jurisdiction. At the appointment, submit all the documents with passport along with the required fees. The Visa Application centre will check the file and will guide further on the expected timeline for getting the Visa. You can opt to pickup the passport in person from the Visa Application Centre or get it delivered to your address. The final verdict on the Visa application is then handed over to you.